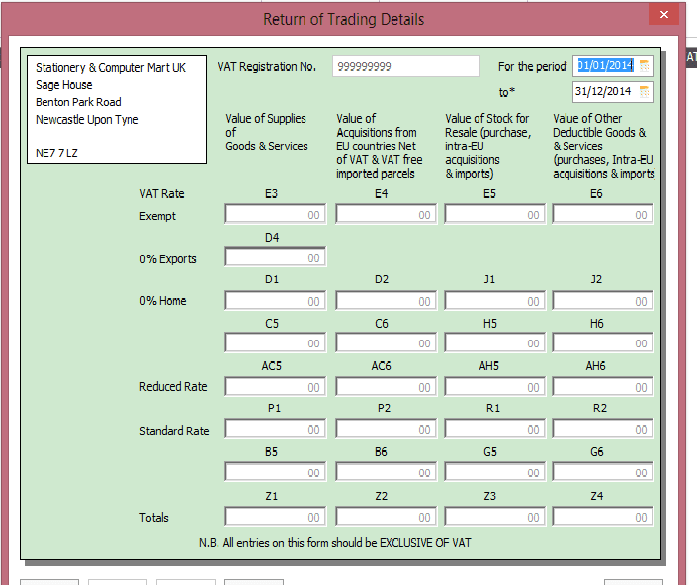 In the Republic of Ireland, all VAT registered traders must submit an annual return of trading details on form RTD EUR. This return was introduced by the Revenue Commissioners, as part of an administration simplification process. The RTD provides a breakdown of the supply of goods and services, imports, and deductible inputs, at the various tax rates that apply during the financial year. This includes all ROI, Intra-EU, and overseas trade transactions. 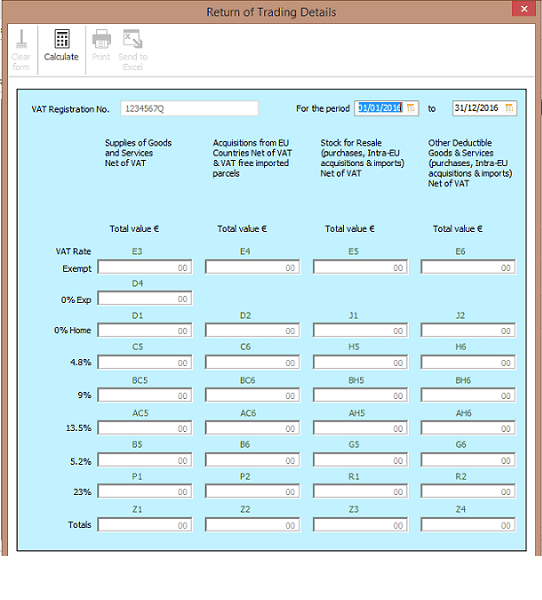 In Sage Accounts you can generate the values for your RTD then copy the information to the official RTD EUR form and generate the RTD calculations for a period. 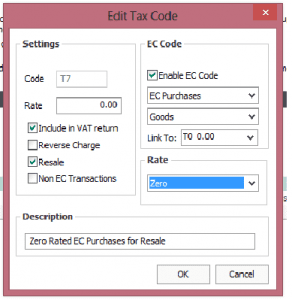 It is important to have all the requisite vat codes set up for the entire period so the RTD report can generate all the required totals, otherwise when you run the RTD in Sage 50 you will receive the message “No transactions found for this period”. You must indicate in the case of purchases whether the goods are for resale or not. You must select from the dropdown whether the rate is zero, reduced, standard or exempt. In the case of EC tax codes, choose whether it is purchases or sales and whether it is goods or services related. You must also “link to” a similar (Irish) tax code. Also make the description meaningful. 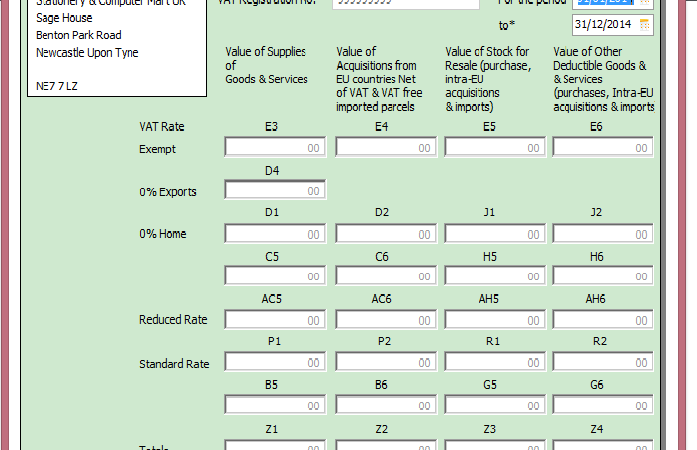 Obviously you must start your trading year with these vat codes in place and use them for the 12 months of the RTD return.